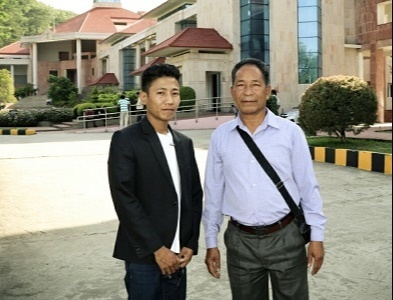 Jajai Singsit Meet India's Jim Reeves the Overnight Music Sensation from Manipur. “I am a Bathroom singer,” says Jajai. Whilst today’s youth are hooked on to the likes of Justin Beiber, this youngster swears by country music. North East has always been the hub for such great musical talent. Born in 1993 in a village Keithelmanbi, Manipur in the North East. 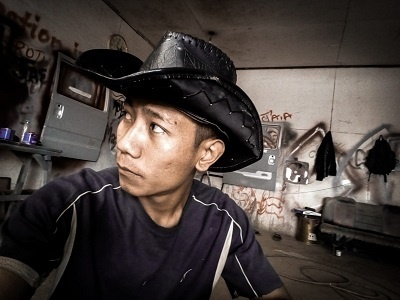 He quit school when he was 14 and ever since has been working in a garage for his passion for automobiles. His dad is an Ex CRPF, mom a homemaker and his three little sisters are still studying. Jajai Singsit says ever since he was a kid has listened to Jim Reeves. Deep down he knew he had the rich, bassy voice like his idols and kept practicing whether it was at his workplace or during his leisure hours. Till today his favorite practice studio is his Bathroom. The self-taught guitarist and a singer is a man of few words who knows no chords or notes but simply knows the art of reproducing the voice and accent. He surfaced only in 2016 when he sang “May the Good Lord Bless and Keep You” at a bridal reception of his cousin. Left everyone awestruck with his mesmerizing voice. All he could hear was shouts and screams “Jim Reeves Returns, Jajai Reeves, Jajai Reeves....and call him Indian Jim Reeves. What about other genres of music? He so loves only country music and it will stay that way. He even practises at work and his colleagues love this man. Listen to "You are my best friend". Amazing talent. Hiding No-where he says. This young, simple, stylish, unassuming singer surfaced only in 2016 when he started making a couple of videos. Always wanted to be a singer but never knew how to go about with it. He admits that his generation is lucky because of the internet and WhatsApp through which he too could find the reach. He is thrilled that his video posted on FB and YOUTUBE is still going viral and hopes to get work. Where does this talent lead to?